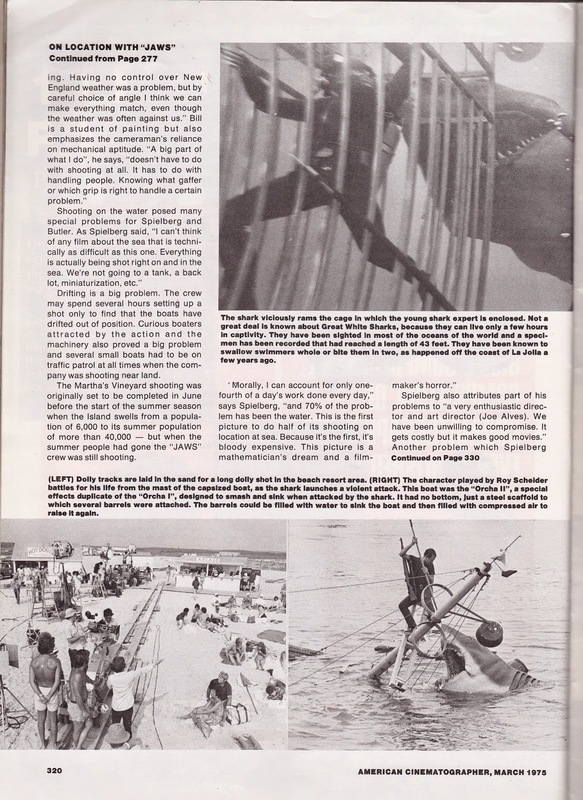 This week I want to take you back to 1975, the year a mechanical shark made headlines in Hollywood, kept the beaches empty and cinema seats filled for a long time. 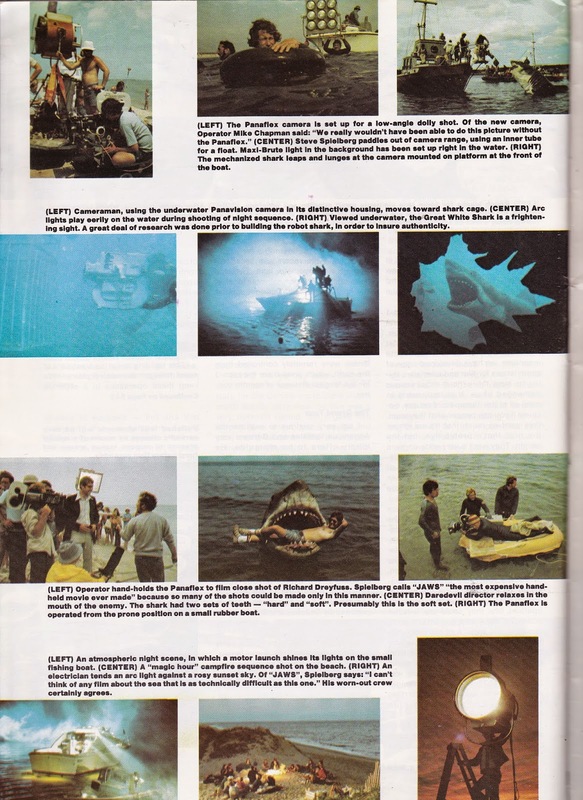 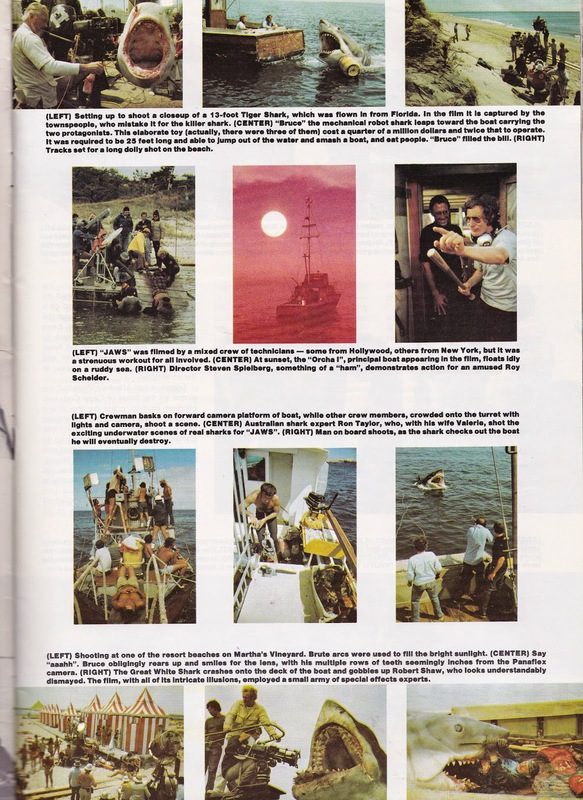 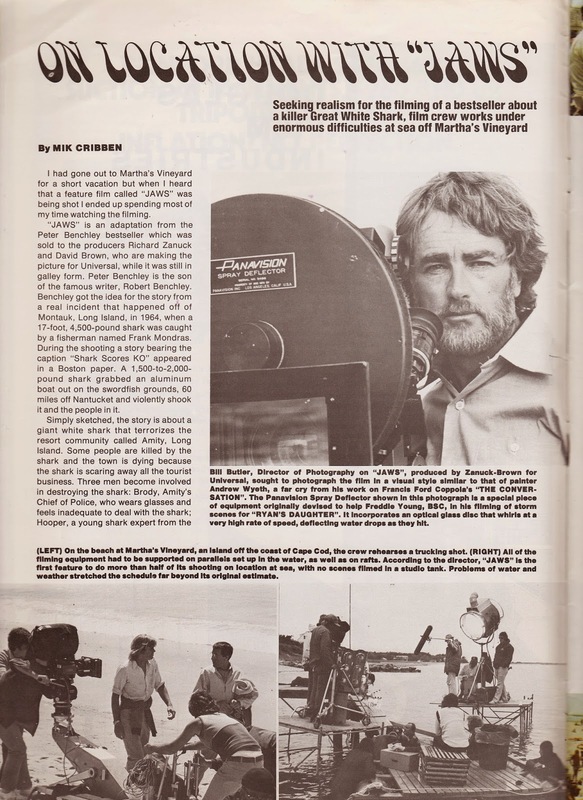 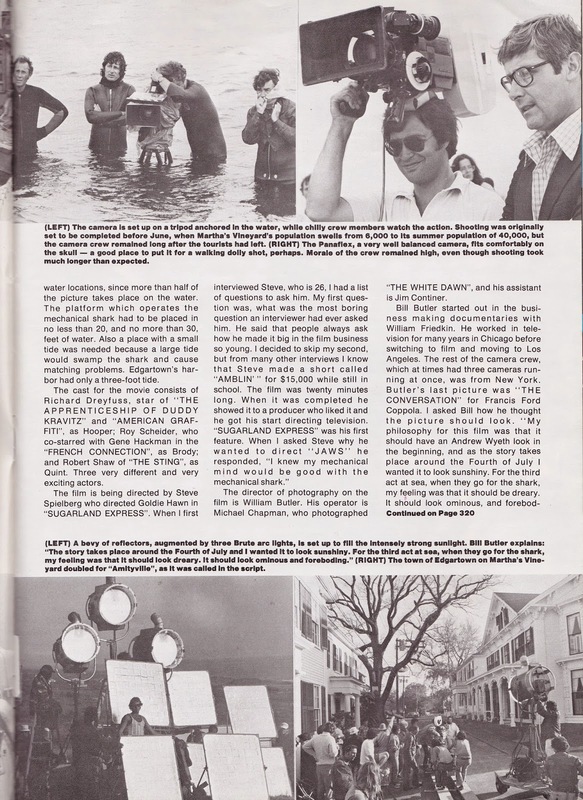 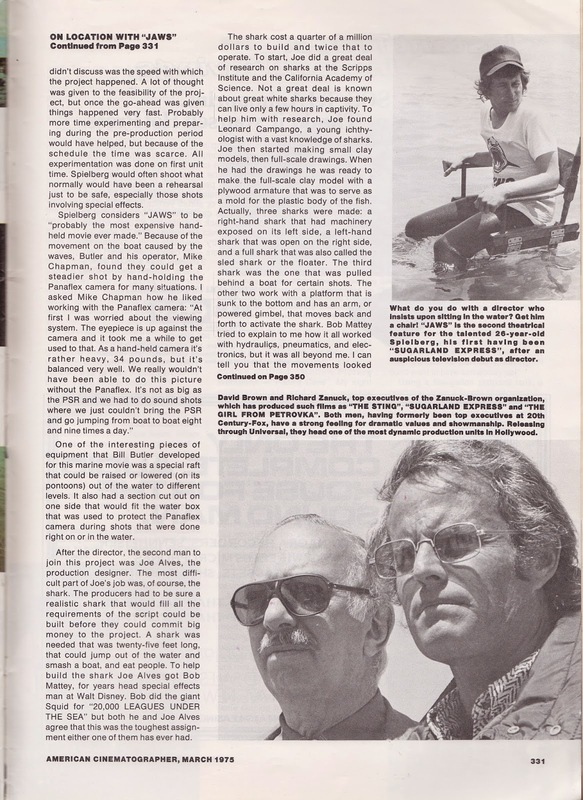 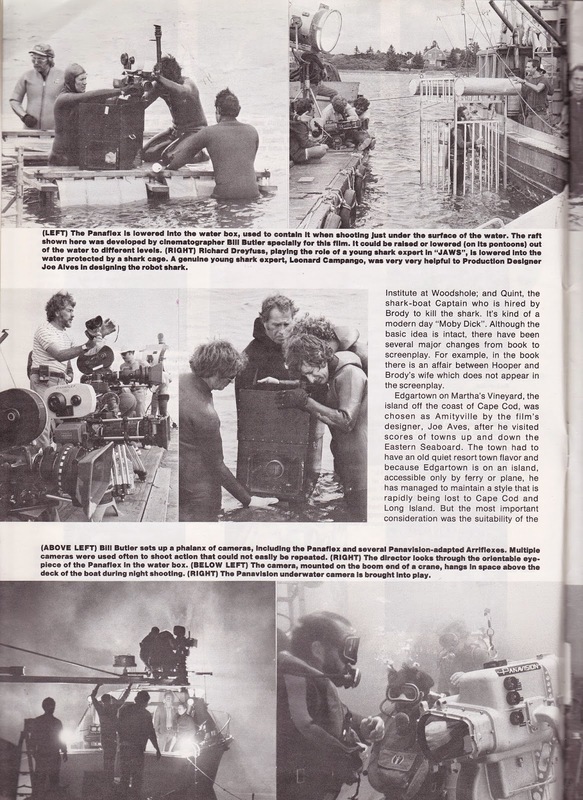 But three months before Jaws was released theatrically the magazine American Cinematographer devoted a large part of its March edition (including the cover) to the process of making this (until that moment) very unique film, mostly seen through the eyes of Bill Butler, Director of Photography. 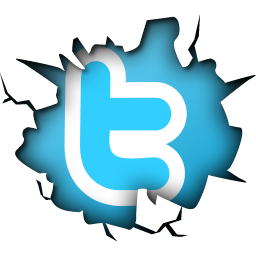 Hope you guys like it (as much as I did and still do). 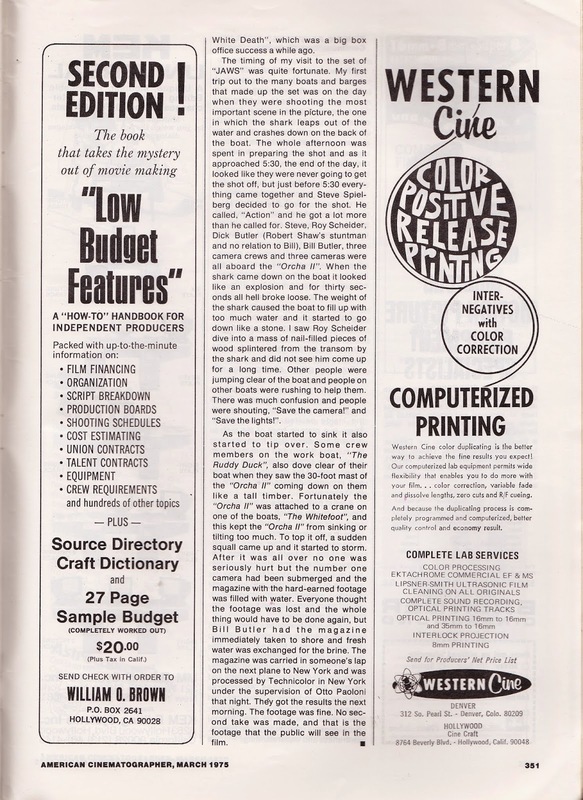 Unfortunately not all the pages were printed in color in those days. 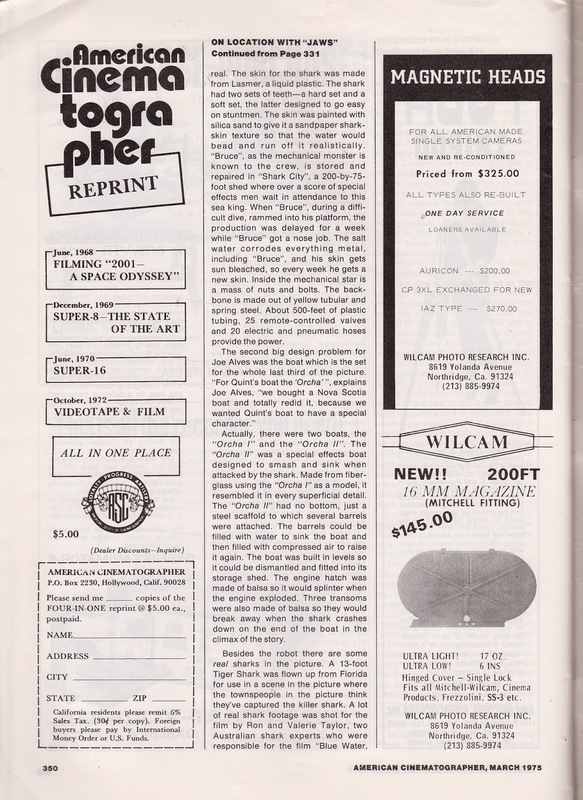 But even the black and white ones are pretty great. 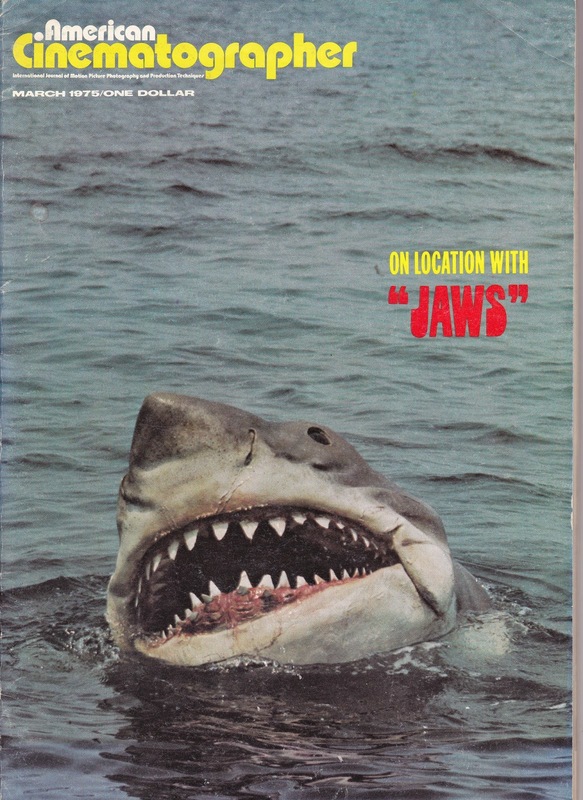 One might get hungry, watching Spielberg relaxing like that, in the mouth of Bruce..
Three months after publication, Jaws made history, and summer would never be the same again.